OWH Stars and Stamps (Our OLD blog! ): Tutorial: Crafting for a Cause ... for non-crafters! Tutorial: Crafting for a Cause ... for non-crafters! There are prizes for the best individual entries, and we know many of you feel you wouldn't win that. Please don't let that stop you! The organization with the most entries qualifies to be in the final three - which means we'll be placed in an online voting round, and can win a large cash prize - the top prize of $50,000 would ship a LOT of cards! Remember the basics - read their blog post and download the detailed pdf - your supplies need to be purchased at Jo-Ann's, and you'll need to send in a scan of your receipt for the items. Scroll down to the end of this post for a quick summary of the steps to enter. 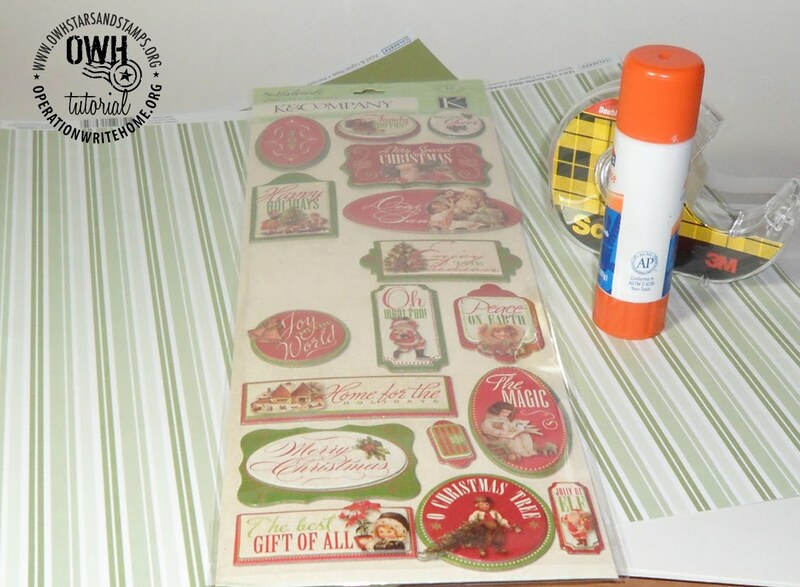 You may use tools you already have (papercutters, cuttlebug, etc) but must purchase consumables - papers, ribbon, embellishments, stamps, etc. While many papercrafters know that a shopping trip can quickly get expensive, if you plan right it doesn't have to be. 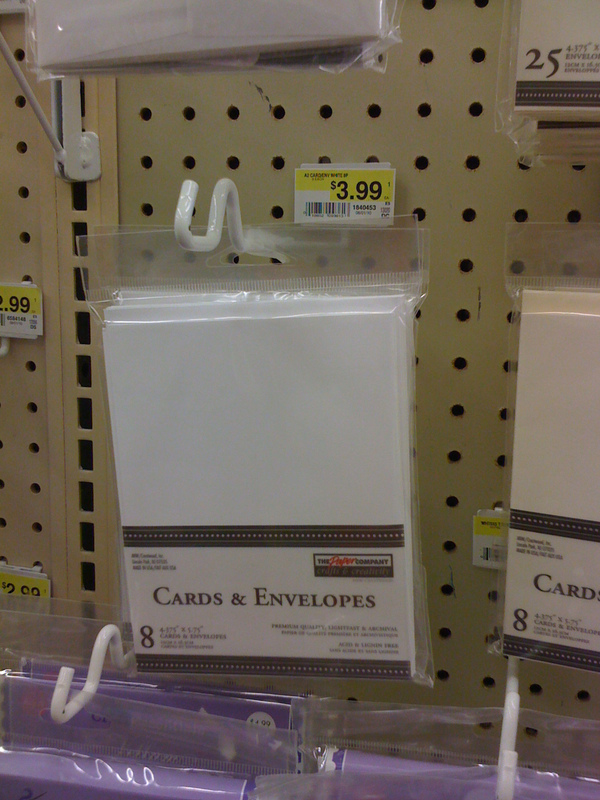 There are some reasonably-priced items that can make a nice simple card, and you can do this for about $5 if you're careful! 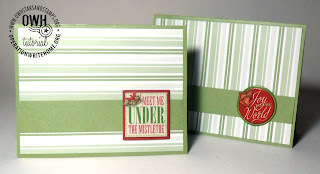 (The sample shown later in this tutorial was created for under $5.) Note the shelf prices on some of these items we found recently - these items can also be purchased at 40% off if there's a sale on, or if you grab the coupon from your local paper! 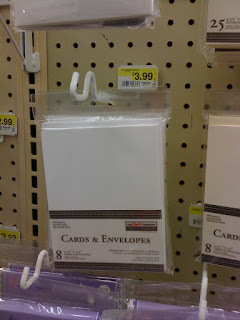 Boxes of card bases with envelopes - great with a 40% coupon if you want to make a bunch of cards. 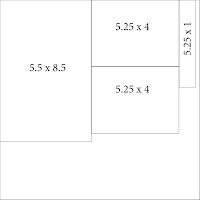 Or if you really want to make just one card - a 59c piece of heavyweight 12x12 paper! 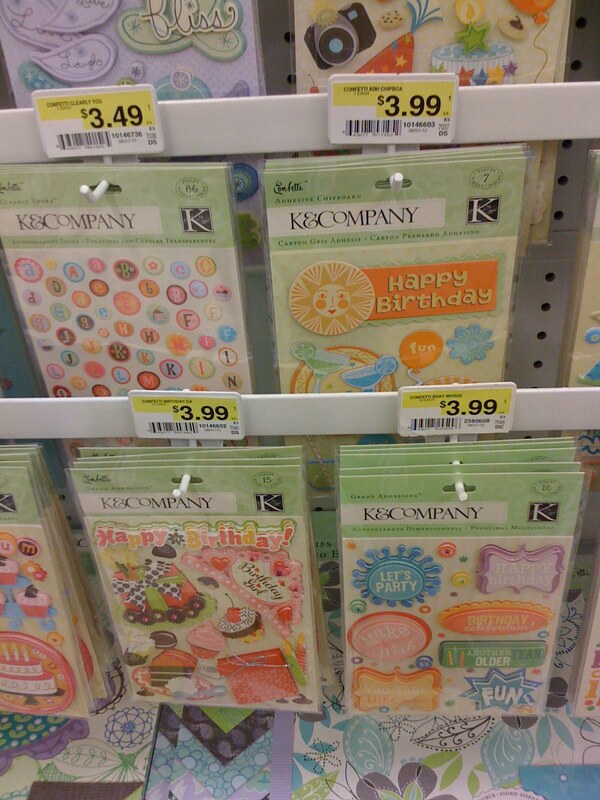 A variety of themed sentiment stickers are available between $2 - $4. 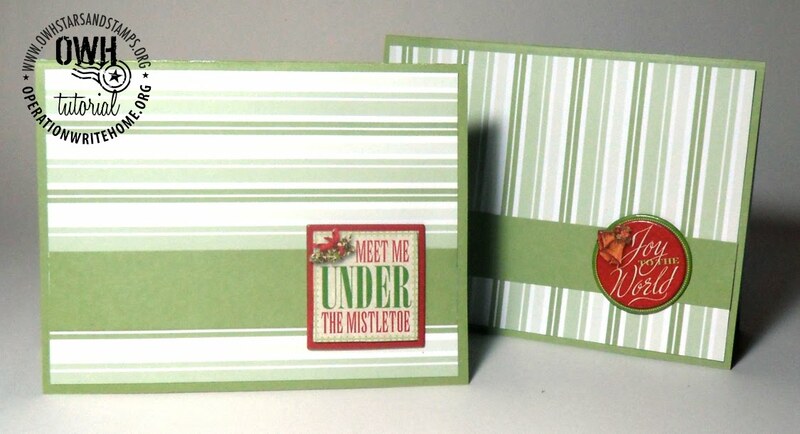 Here's an easy card that can be made with some of the basic supplies - under $5! Download a pdf with this info by clicking here. 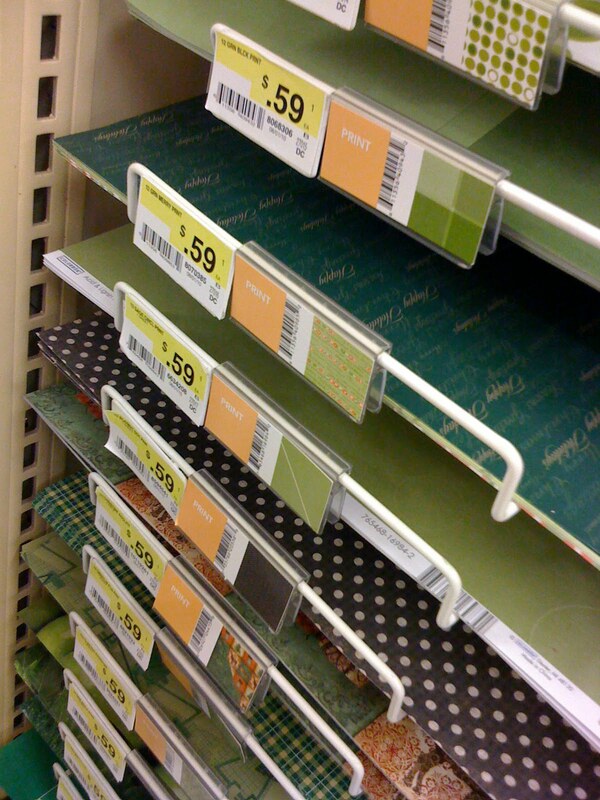 one sheet of heavyweight patterned paper, 2 sided ($.59!!) 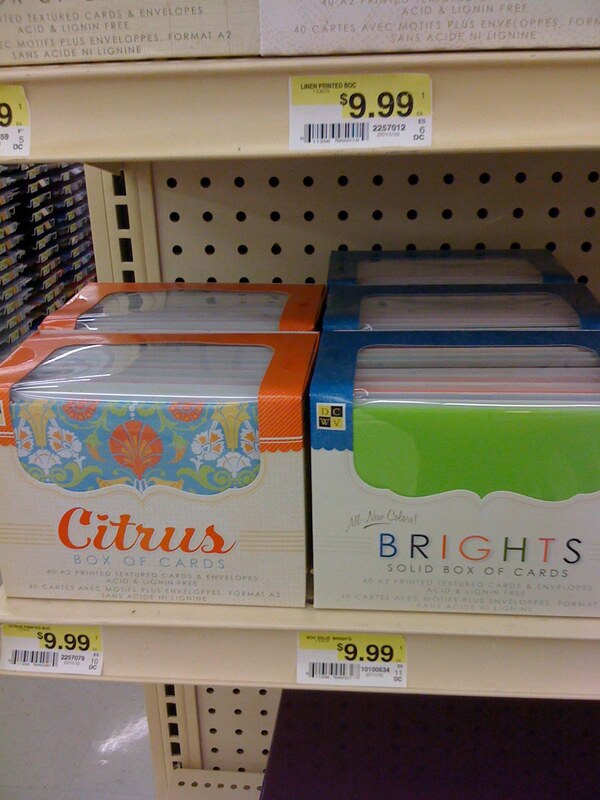 One side should be light/plain enough to write on with a pen. 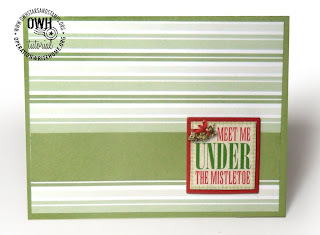 one packet of embellishments ($2.40 after 40% coupon) *FYI it doesn't have to be a Christmas card! Pick whatever inspires you. 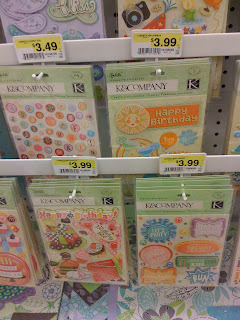 It also does not have to have a sentiment - it can be just a flower or other self-adhesive item! 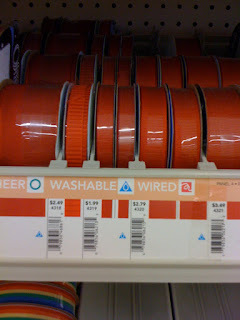 adhesive (gluesticks, or doublesided tape; these do not have to be from Joanns). You'll also need a way to cut the paper - ask around, surely you'll have a friend with a papercutter, perhaps you'll even have one at your office! If all else fails, places like quick-printers will often cut paper for 25cents per cut. Cut paper as show in the diagram. 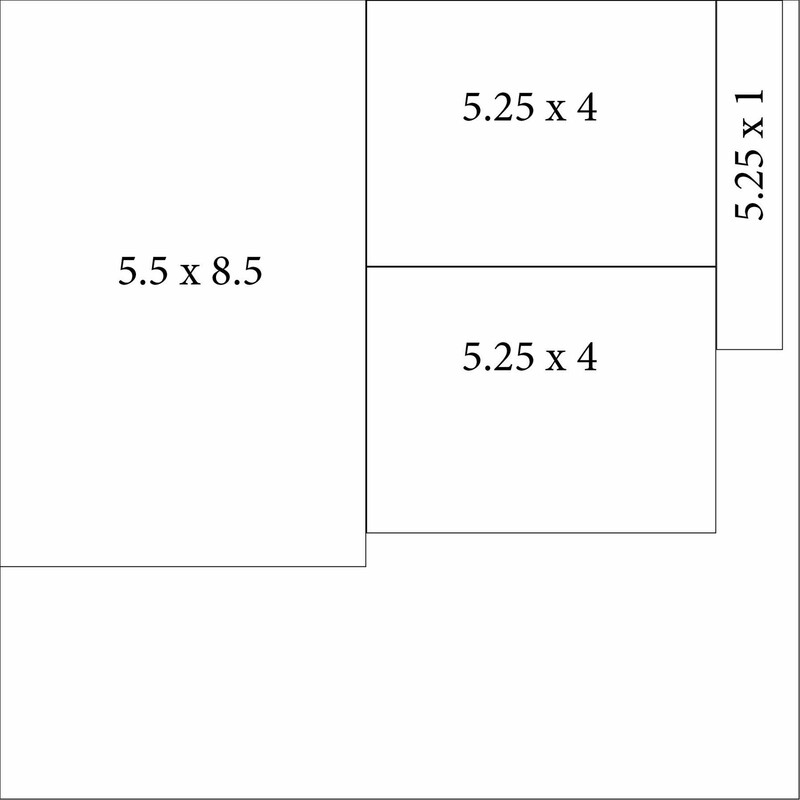 5.5 x 8.5 for the card base, two pieces of 5.25 x 4, and one piece 5.25 x 1. Fold the large piece in half. Leave the fancy pattern on the inside and use one smaller rectangle as a liner inside. Glue it in place by completely covering the back of the rectangle with gluestick, and burnish it down really well. Glue the other piece on the cover. Glue the 'belt' onto the card. Write "Operation Write Home" on the back. 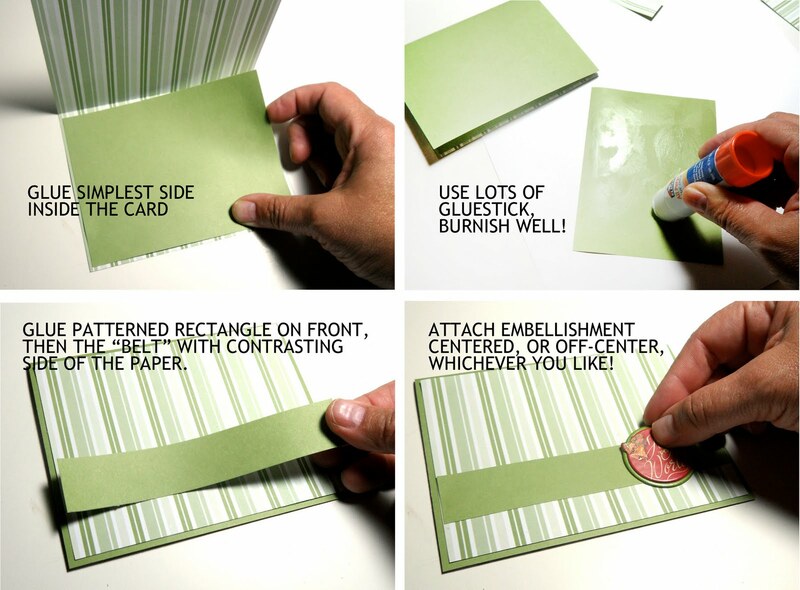 Take 3 color photos of the card – one showing a full view of the entire card, one showing a close-up view of a detail on the front, and one showing a close-up view of the back or inside. If you decorate the inside, include that, if not, write "Made by [your name] for Operation Write Home" on the back and take a photo of that. Pictures should be jpgs, under 2mb, and should be simple, just the cards like we show on our site (no people, simple background, etc.). No professional photography is permitted. Complete the official entry form, with your contact information and a short description of how the card meets a specific need of the selected charitable organization. For example, "My card will be sent to a deployed service member so they can write a Christmas message and send it home to a family member." Scan the store or online receipts showing proof of purchase of materials used to make the item. After filling out their form and uploading all your info, click Submit! Love your video. You had me laughing at the beginning. Sandy, this is a great tutorial. 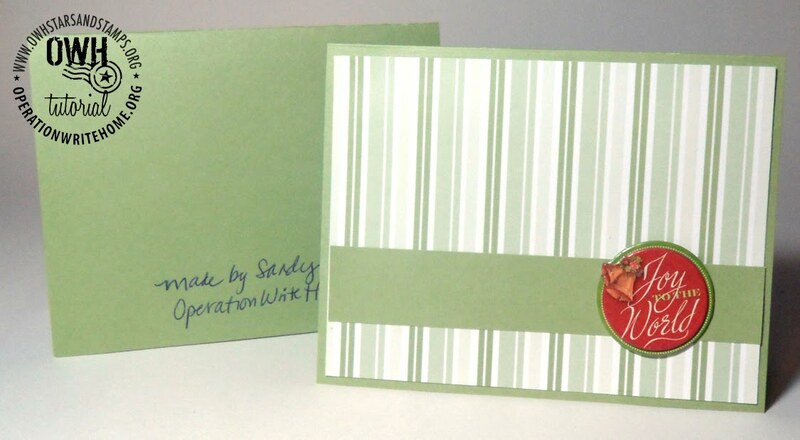 Thanks for all what you do for Operation Write Home and our fellow cardmakers. Your adorable Sandy!!! !and quite funny too!!! 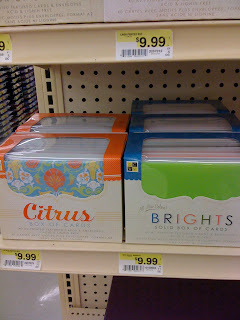 Thanks for taking the time to make such a informative video for new cardmakers!!! !I'm sure it will help them out!!!! Great work on this video Sandy! I am so excited about this contest I am hoping to get friends and family to enter too. Even if it's a simple card, like you've shown here it will bring us one step closer to having OWH in the final vote. whew! I did it! You should have seen me in the J's trying to download the email so I could link to see the tutorial on my iPhone in the middle of the asile, LOL! I only spent $1.09 because I'm a cheap-skate! Today is SRM's Birthday Bash! Sparkle Creations is hosting OWH! Dutch Dare Features Operation Write Home! Birthday Present from Hodge Podge: Free digis! Free Digis...and some Oldie Moldie fun! Winner For Enjoy The VA Sunshine Challenge!! 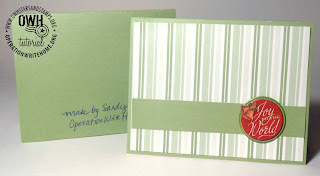 In Style Stamps Features Operation Write Home! Bonus treat on a Friday night! Happy Bday OWH - and S&S Sketch #33! Birthday Bash - link list! Family Challenge - from Ciara!